The Vice President of Nigeria, Prof. Yemi Osinbajo, on Monday decried the way Nigerian doctors are leaving the country in droves saying the government now has an opportunity to bring back the doctors. 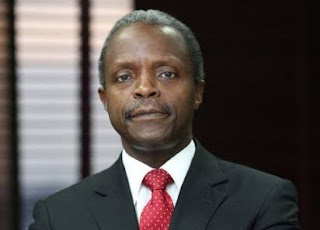 Mr. Osinbajo praised the UCH’s pioneering effort in different areas of medicine. “Since those early days, UCH has gone on to open new frontiers in health care service delivery. It was the first medical institution in Nigeria to launch Nuclear Medicine services, the first to introduce Palliative and Hospice Care services for end-of-life and chronic debilitating diseases, and the first to open a Geriatric Centre in Africa – the Chief Tony Anenih Geriatric Centre, which began operations in 2012, and today, we have just commissioned the Adebutu Geriatric Rehabilitation Centre,” Mr. Osinbajo said.